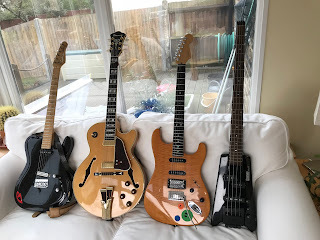 I've been playing the guitar and other fretted instruments for around 45 years now! Over that time I've got familiar with a wide range of styles, from rock and pop to jazz and RnB, from folk to funk, blues to soul etc., etc. 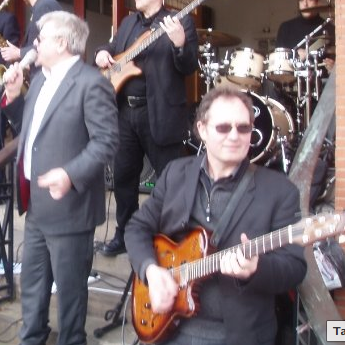 I play a range of music in a variety of settings from solo guitar to duos, trios, right up to nine piece bands. I've worked with a lot of different artists and musicians, mostly not famous (though there were a few household names..) but great musicians all the same. Solo guitar playing mainly jazz and light background music for weddings, functions, events etc. 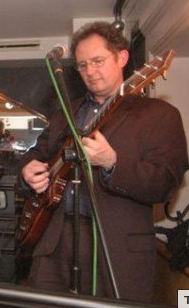 Dave Bold Duo - guitar and singer (usually Chess Payne or Gordon Webber), mostly jazzy songs or pop/rock standards. Great for restaurants, wedding receptions, corporate events and small pub gigs. Bold's Band - a Ceildh band for Barn Dances, Scottish, Irish, English, Celtic nights. 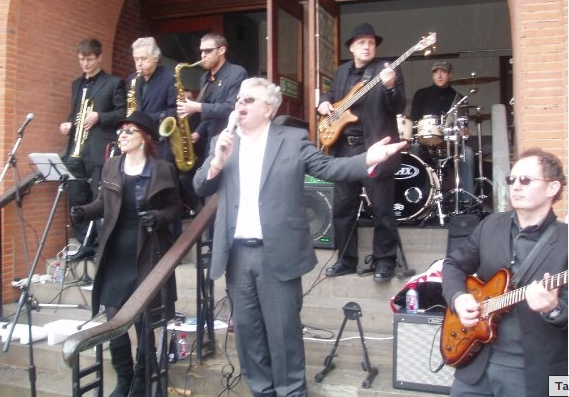 Great fun, ideal for functions, weddings, events, festivals. Note, if I can't do the date you are looking for it may well be that I know another band or musicians that can. Give me a call and let's make it happen!